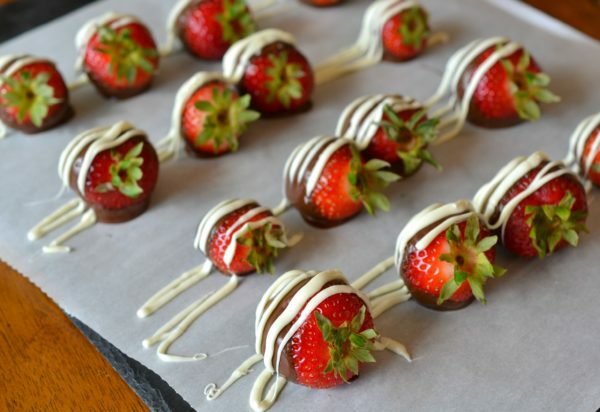 Easy chocolate-covered strawberries that the kids can help you make. You’re going to see a lot of chocolate covered strawberries in this post because a) they’re delicious and super-easy to make; and b) they represent the character Sam’s bumbling effort at courtship in the irresistible new show “Atypical” on Netflix. 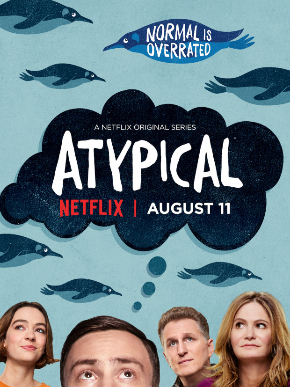 “Atypical” is a coming of age story that follows Sam (played by Keir Gilchrist), an 18-year-old on the autism spectrum as he searches for love and independence. While Sam is on his funny yet emotional journey of self-discovery, the rest of his family must grapple with change in their own lives as they all struggle with the central theme: what does it really mean to be normal? 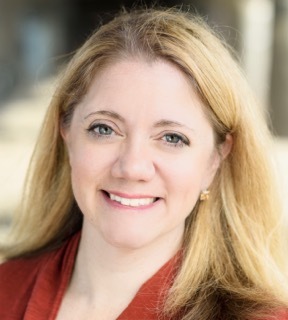 The show also stars Jennifer Jason Leigh stars as his mother; Michael Rapaport as his father; Brigette Lundy-Paine as his sister; and Amy Okuda as his therapist. The series, produced by Sony Pictures Television, is created and written by Robia Rashid (The Goldbergs, How I Met Your Mother, Will & Grace). How happy is this strawberry? 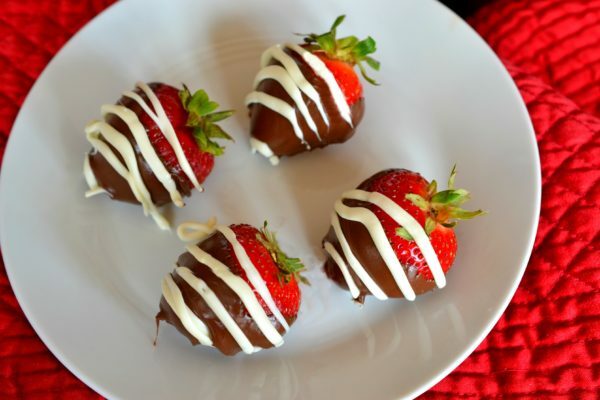 At one point, someone tells the earnest Sam that chocolate covered strawberries are the key to a woman’s heart, so he sets out to (spoiler alert!) break into his therapist’s apartment to leave her with this somewhat misguided gift. Oh, Sam, we’re all rooting for you to find someone worthy of those strawberries. We’re always nervous when we see shows attempt to portray kids on the autism spectrum because the spectrum is so broad (“If you’ve met one kid with autism, you’ve met one kid with autism.”), and we hate to see kids get typecast or stereotypically played. But the show seems to do a good job of showing that Sam is Sam, and he’s simply not like anyone else. And when you come right down to it, who is? In honor of Sam and his romantic misadventures, we went ahead and made chocolate covered strawberries. 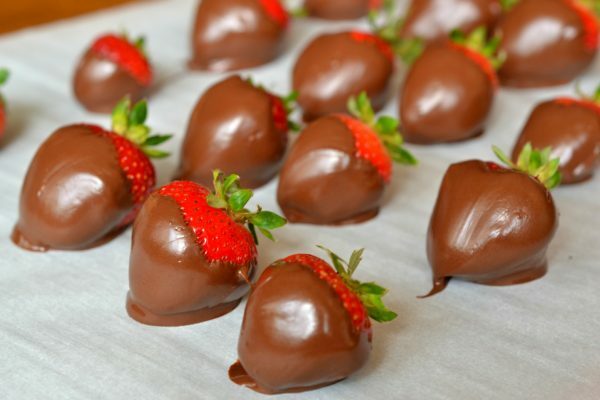 The good news about chocolate covered strawberries: They are just about the fastest and easiest recipe a person could make, they don’t require any special equipment, and when you give them to someone, it’s a downright gesture of love. An easy chocolate-covered strawberry recipe, where it's guaranteed that no two strawberries will look alike. When you are ready to prepare the strawberries, prepare a double boiler (we just use a porcelain bowl over a saucepan filled with water) and bring the water to a boil, then turn it down to a simmer. Place the chocolate on top of the double boiler and let the chocolate melt, stirring it carefully with a spatula. When the chocolate is melted and evenly smooth and glossy, remove it from the heat. Place a sheet of parchment paper over a large baking pan or cutting board to receive the strawberries. 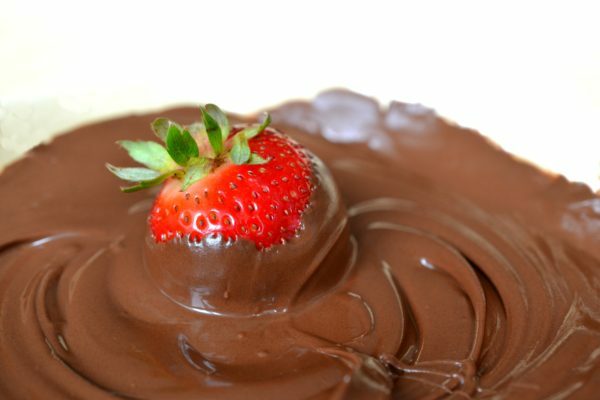 Then carefully dip each strawberry into the chocolate, taking care to coat all sides evenly and let the excess drip off the bottom. Lay the strawberry down on its side on the parchment paper; then repeat with the remaining strawberries. Let the strawberries sit for at least 20 minutes while the chocolate cools. In the meantime, melt the white chocolate (for some reason, we had better luck with the white chocolate in the microwave than in the double boiler) and stir carefully with a spatula until the white chocolate is evenly melted and glossy. Scoop the melted white chocolate into a small plastic bag, seal it, and use scissors to snip a small corner off the bag. 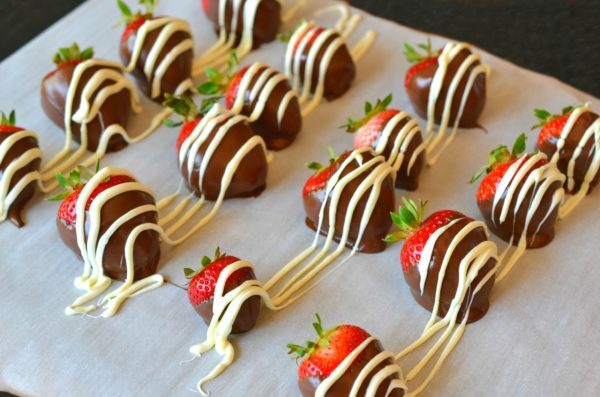 Then squeeze a thin drizzle of white chocolate in a zigzag pattern across the strawberries. Chill the strawberries and serve within 24 hours. 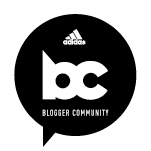 Blogger disclosure: I am a member of Netflix’s Stream Team, through which I write a monthly blog post in exchange for an annual subscription. I did not receive any additional compensation for this post. All opinions expressed are my own.